Although mentioning only the presidency, Politicians at all levels and from both major parties make monkey’s out of us when we don’t do our homework and elect better ones than we have had. This song was released by singer, songwriter Tom T. Hall, a Democrat in June 1972, an election year where incumbent Republican Richard Nixon defeated Democrat challenger George McGovern in a landslide election, carrying 49 of the 50 states. Within two years, Nixon became the only U.S. President ever forced to resign in disgrace. After careful consideration, I have decided I should make known my choice in this primary election for Sheriff and not to take anything away from any of the other three candidates vying for the office, have determined Chuck Atkins should be elected in November. This was not an easy decision as I feel all four meet the qualifications, but come November, only one will win the office, two first in the Primary Election facing us. I was the first to post reviews of the candidates in a three part series based upon questions I presented to all four, here, here and here. The questions were compiled by me on issues I felt would be of importance. All candidates were forthright with their answers and on most issues, not that far apart. School shootings continue to be a problem none of us to ever experience. Ideas vary on how to deal with it including the controversial idea of arming properly qualified, trained and licensed school teachers and staff. 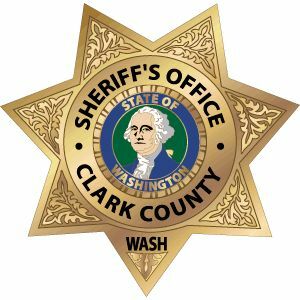 Gangs have been a problem for a long time and while they might not be as big a problem in Clark County as elsewhere, they still pose a problem for law enforcement here that must be dealt with. Four candidates have stepped up to the plate to replace retiring Clark County Sheriff, Garry Lucas, all with prior law enforcement experience in Clark County. Of course, only one will win the office in the November general election after two will prevail in the August primary election to face each other. A Sheriff is a lot more important than many people realize. Far from just being responsible for overseeing the writing of traffic tickets, the Sheriff is responsible for managing the entire Department, maintaining the “oldest law enforcement agency in our state as well leading the Department Deputies in varied activities related to crime, enforcement of laws, corrections facilities, general safety of County Government and Citizens,” maintaining a rapport with the community and other elected officials, budgeting the Department, overseeing proper training of personnel and much more. It is therefore incumbent upon us, the citizens and voters to elect the one candidate we feel is best suited for the position, based upon their values, experience and abilities. 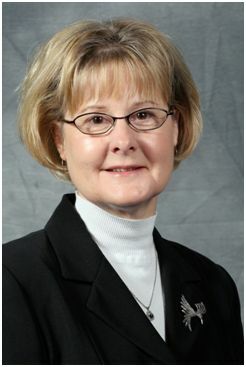 It is with a great deal of pleasure that I report former Vancouver City Council Member, Jeanne E. Stewart has announced her intent to make a bid for the seat abandoned by Steve Stuart on the Clark County Board of Commissioners. She will be filing as a Republican. Stewart has always shunned partisan labels, opting instead to be a true representative of the people, carefully weighing matters that come before her to ascertain potential benefits and the public’s views, at times ruffling feathers of other council members catering to special interests.